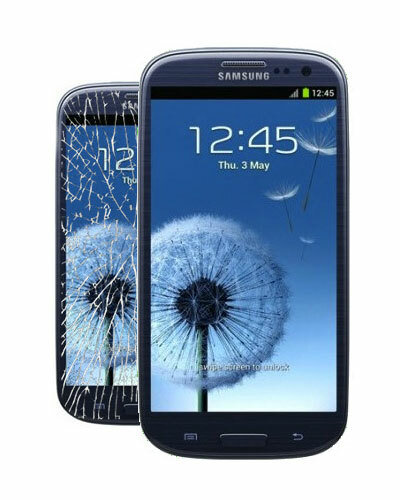 If you have cracked, broken or damaged your Samsung Galaxy S3 screen, our in-store S3 touch screen repair service is the fastest and most affordable way to fix your broken samsung screen. There are actually 2 screens on your Galaxy S3, the top screen is the glass front which controls touch function. The lower screen is called LCD that displays images and senses your finger touches. 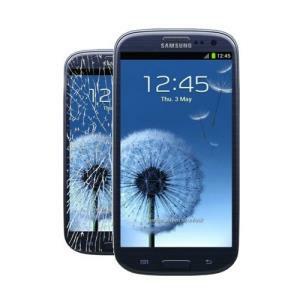 This is the right repair for you if, your phone glass (touch screen) cracked but the picture underneath (LCD display) is fine, not damaged and your Galaxy S3 phone still responds to touch. We Offer 100 Days guarantee on all off Samsung Galaxy repairs and our service is super-fast too with most Smartphone repairs being carried out in 1 hours by fully trained engineers and we use only genuine samsung parts where possible in our repairs. Price includes parts and fitting.